Infinity Concentrate redensifies and repairs the contour of the eyes and lips. At the heart of the formula for INFINITY Concentrate you will find Precious Camellia Oil from the Island of Jeju, used in the favorite skincare ritual of Japanese women. This oil is known for its anti-aging properties and repairing effect on the cutaneous barrier. 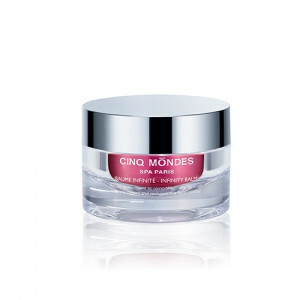 Cinq Mondes Laboratories have combined this precious oil with Phyto-Density Complex, a tailored complex that controls and inhibits the harmful impact of cellular stress with an effect on 3 key factors: existing wrinkles, skin quality (density, volume, touch) and sagging facial contours. Perfume-free and enriched in Uvaxaine, new generation UV protection, and Avena Sativa, skin tensor obtained from a fraction of Organic Oats, it has an immediate and lasting smoothing effect on the eye and lip contour, restoring density and comfort. At home, apply the equivalent of a grain of rice of Infinity Concentrate to the eye contour using light tapping movements before gently smoothing into the skin. To awaken the eyes and stimulate energy recuperation, cup your hands over your eyes for a few minutes. Day after day, your wrinkles will be smoothed away, skin becomes denser, more comfortable and the eyes appear more rested. To be applied before Infinity Cream to the eye and lip contour. Plant-based Hyaluronic Acid® obtained from the fermentation of lactic acid bacteria adapted to a renewable plant substrate, is a biomimetic ingredient. 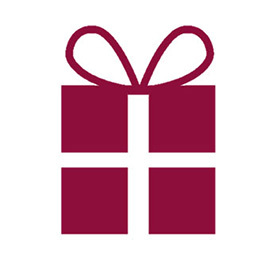 Applied to the epidermis, this heavy molecular-weight Hyaluronic acid forms a non-occlusive film that regulates perspiration and protects the skin from outside aggression. Thanks to its hygroscopic properties, it maintains cutaneous water and acts as a water reservoir for the skin. PATENTED ACTIVE INGREDIENT - 100% natural, sugar-based skin tensor, Avena Sativa® is a purified fraction of natural polysaccharides (sugar) obtained from organically-grown oats. Oats originate from China where they were used over 200 years before Christ for their antioxidant and protective properties that prevent skin aging. By encouraging multiple interactions between sugar chains and intercellular lipids in the stratum corneum of the epidermis, Avena Sativa® adheres to the skin surface to form an organic cohesive and continuous film that produces an immediate and visible tightening effect. Camelia oil with its moisturizing and revitalizing properties has always been highly appreciated by Japanese women who have been using it for centuries. obtained by enzymatic biosynthesis from an extract of Japanese Polygonum. This unique and innovative molecule enables skin cells to be protected; it acts as a veritable anti-age shield. With Ginger, Cinnamon and Burnet , these 3 components have antiseptic and toning properties that affect the epidermis by increasing cell renewal. This complex tightens the pores and smoothes the features. Its essential oil tones and stimulates the organism's natural defences. Aqua (Water), Caprylic/Capric Triglyceride, Isostearyl Isostearate, Isopropyl, Palmitate, Cetearyl Alcohol, Glycerin, Jojoba Esters, Ethylhexyl Palmitate, 1,2-Hexanediol, Camellia Japonica Seed Oil, Cetearyl Glucoside, Commiphora Mukul Resin Extract, Helianthus Annuus (Sunflower) Seed Oil, Hydroxyethyl Acrylate/Sodium Acryloyldimethyl Taurate Copolymer, Polydatin Glucoside, Sodium Dehydroacetate, Sodium Hyaluronate, Sodium Polyacrylate, Sodium Stearoyl Glutamate, Soy Isoflavones, Tocopherol, Trihydroxystearin, Hexapeptide-48 Hcl, Lecithin, Citric Acid, Glucose, Alcohol, Chlorphenesin.